Energy for Humanity has been campaigning against the Green Party’s Initiative for a premature nuclear phase-out in Switzerland. We believe that the rejection of this Initiative is crucial to maintain and build on Swiss climate leadership as well as for maintaining the current high level of security of supply. The vote result also has an important message internationally: Nuclear power as part of a clean electricity mix has an important role to play in the transition to a low-carbon economy. Reducing our fossil fuel use works best with electricity generated by hydro power, new renewables and nuclear power. Energy for Humanity will continue to work in Switzerland and internationally to meet the challenges that will rise from moving away from fossil fuels. 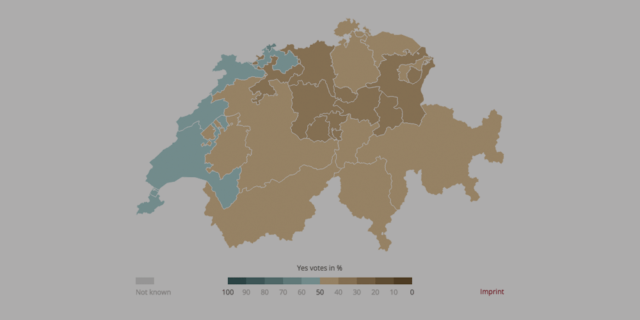 Swiss voters have sent a strong message to world by rejecting the Greens’ disorderly nuclear exit initiative. Our efforts now must be on expanding clean electricity generation, not shutting it down. Germany has been trying for years to succeed with their energy transition and they are facing huge difficulties. By keeping their existing plants online, Switzerland will be in a much better position to face the upcoming challenges in climate change and the energy sector in general. Switzerland is one of only a handful of modern economies in the world with a completely decarbonized electricity generating system. We urge all decision makers in Europe to consider the benefits of including nuclear power in their clean energy mix, as the Swiss people have in today’s vote.